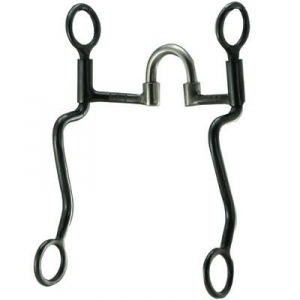 Every new correction horse bit offered by Horse Tack Now is professionally made and goes through a stringent quality control team that makes sure you only receive the greatest quality product. This happens to be one of our most popular Bits we have to offer. This product comes with a copper inlay. This Correction Bit with Copper Inlay is a top quality item. When buying at Horse Tack Now you are getting only superior quality products and customer support. Available in 5 inch size.